Flu shots have become a vital part of routine health care for kids. A child who gets infected with the influenza virus is likely to become much sicker than a healthy adult, according to the Centers for Disease Control and Prevention (CDC). Frequently, kids who get the flu need medical care, especially those under age 5, and toddlers and babies are especially at risk of complications. These are some of the reasons the CDC's Advisory Committee on Immunization Practices (ACIP) states that all persons 6 months and older should get vaccinated against flu every year. Some years there haven't been enough flu shots to go around. You may remember that in 2010 there was a shortage of vaccines available, leaving some parents scrambling to find a place to get their kids immunized. A scarcity of flu vaccine hasn't been a problem since, although parents who wait too long to sign up their kids to get a shot from the pediatrician sometimes find the doctor's office has run out. That's one reason the CDC advises "beginning use of seasonal vaccine as soon as available, including in September or earlier." Another reason to get a jump on flu season is if your child is under the age of 8 and is being vaccinated against flu for the first time. She'll need two shots given 28 days apart to be fully protected so you want to make sure there's time to fit both doses in before flu season is in full swing. Your local or state health department—often your best bet, so start looking there. The American Lung Association (ALA) website, which has a user-friendly tool for finding local outlets for flu shots. Simply enter your zip code and nearby options will pop up. In addition, the tool will give you helpful information about each site, such as the days and times it's open. Vaccinefinder.org.This website works in much the same way as the ALA site—plug in your address or zip code and you'll get a list of local places offering flu vaccines. You can use this tool to find locations for other vaccines as well, from chicken pox (varicella) to shingles to HPV (human papilloma virus). Pharmacies, grocery stores, community centers, churches, office parks, shopping malls, schools, and other venues sometimes offer flu shots. Keep an eye out for advertisements and notices. Note that many places that offer flu shots outside a doctor's office may not give them to young children, especially kids under 4, so call ahead. 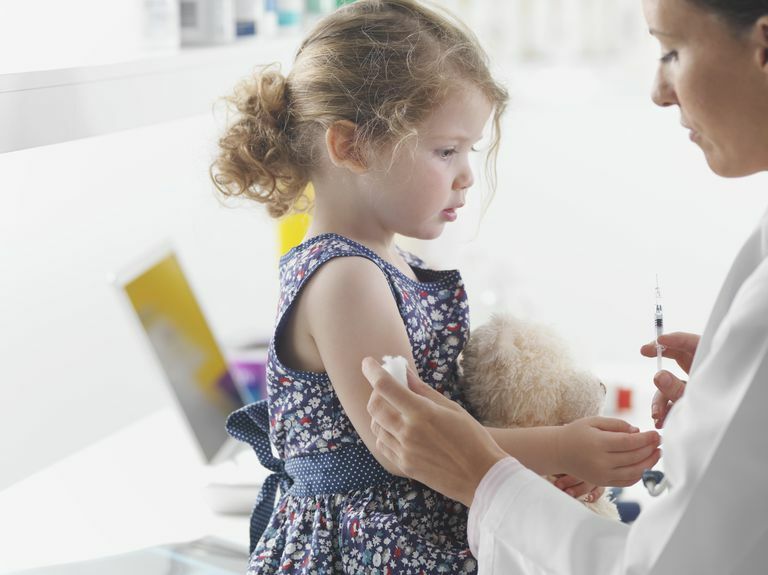 This restriction may be waived if your pediatrician will write a prescription for your child to have a flu shot. Centers for Disease Control and Prevention. "Prevention and Control of Influenza with Vaccines: Recommendations of the Advisory Committee on Immunization Practices, United States, 2015–16 Influenza Season." MMWR Weekly. August 7, 2015 / 64(30);818-825.